This week is is National Infertility Awareness, so I thought it was the perfect time to share our story. Our journey to conceive has NOT been easy. It may not be as difficult as some I have heard (like Jaime King), but it has taken us years to get here. We ended up doing IVF (in-vitro fertilization). I won't share too many personal details, but IVF was our best option. 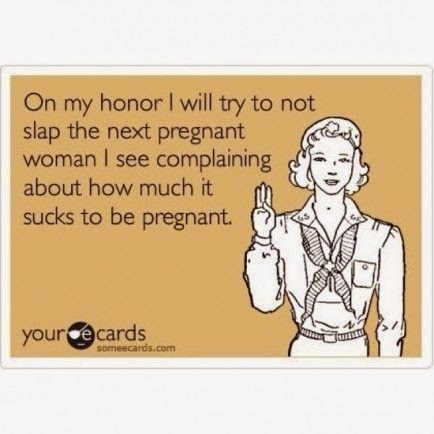 I used to look at all pregnant women and just assume it was easy for them to get pregnant and be jealous of them. 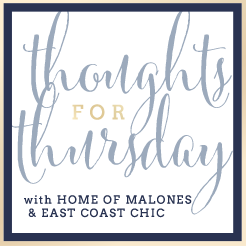 That made me think- I don't want someone struggling with infertility to look at my pregnancy and think it was easy for me. I understand what you are going through. I am sympathetic. Sadly infertility isn't talked about very much. I kept it hidden for awhile, then only told close friends our struggle. I wish it was something people were more open about. One reason I wanted to keep it a secret was I didn't want one million opinions on the subject. Everyone has a friend that tried for years and finally did IVF or adopted and then got pregnant on accident. That story doesn't help me. I also didn't want people constantly staring at me down the road trying to figure out if I was pregnant yet. But keeping it a secret means people don't think before they share they are pregnant without trying or on accident. I went through months of not knowing why I wasn't getting pregnant. I encourage you to be proactive. We were. After 7-8 months of trying we made an appointment with my regular OB/GYN and did preliminary testing. After 14 months of trying we went and saw a specialist. I was ready for a baby and I wasn't going to wait. Once we decided on IVF, it was still a long process. We started our process in spring and didn't actually have the procedure until late fall. 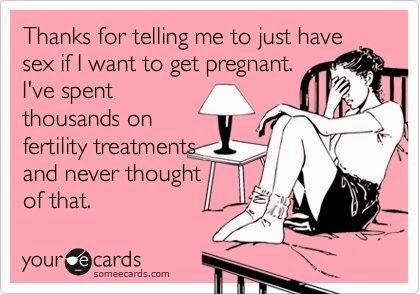 IVF is not for the faint of heart. I didn't feel good for months! 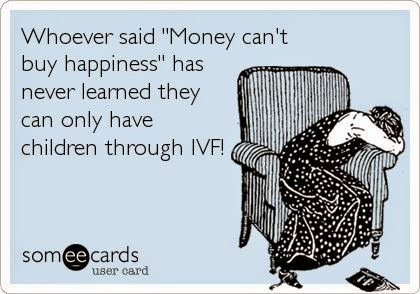 IVF consumes your life. I would have to leave places in a rush to be sure I could get home in time for shots or get to the doctors office in time for blood work or an ultrasound. At one point I went to the doctors office 5 days in a row. And gave blood every time. My stomach was one giant bruise from shots. I had so many side effects- I was nauseous, tired, sore, etc. And that doesn't even cover the financial stress and burden. And the fear that it won't work. But it was all worth it now. Now, all I think about is how lucky and happy I am that we are expecting twins! Two healthy babies on the way. I have almost forgotten how rough the process was! not everyone gets a pictures of their embryos! Baby Girl and Baby Boy on transfer day! I would also HIGHLY recommend my doctor (Dr. Katz at REACH) for anyone in Charlotte considering fertility treatments. He was amazing...and that word doesn't even fully do him justice. I am so thankful for him and his amazing staff. I remember at our first appointment, right before Christmas 2013, he said "We'll get you pregnant in 2014. We will get you that baby you deserve." He was so hopeful and positive. I knew he would do anything he could to help us. There is a huge community out there full of people trying to conceive (TTC) and the support they provide each other is amazing. My biggest piece of advice to someone supporting a friend going through infertility- do NOT ask them if they are pregnant. If they aren't, it will make them sad and remind them they aren't. If they are, they will tell you when they are ready. This is the number one reason I didn't tell some people about IVF. I didn't want people asking me all the time if I was pregnant. And still some people did ask me. Trust me, when your friend wants you to know they are pregnant, they will tell you. When we found out I was pregnant, December 1, we knew ahead of time who we wanted to tell and not tell. I only told my sister and very best friend the day we found out. We waited a few days, after some more blood work, to let his parents and my dad know. Then we waited a few more weeks to tell more close family/friends. If you have any questions or want to talk about IVF, please feel free to reach out to me! These are so true and so funny...had to share! !